Carter’s Blue was first grown in the 1840’s by Colonel Carter of Mount Meigs Depot, Alabama. The fruit is very attractive with a bluish color due to its heavy bloom. Once thought to be extinct, this wonderful apple was rediscovered by Lee Calhoun growing in the National Fruit Trust in Kent, England. 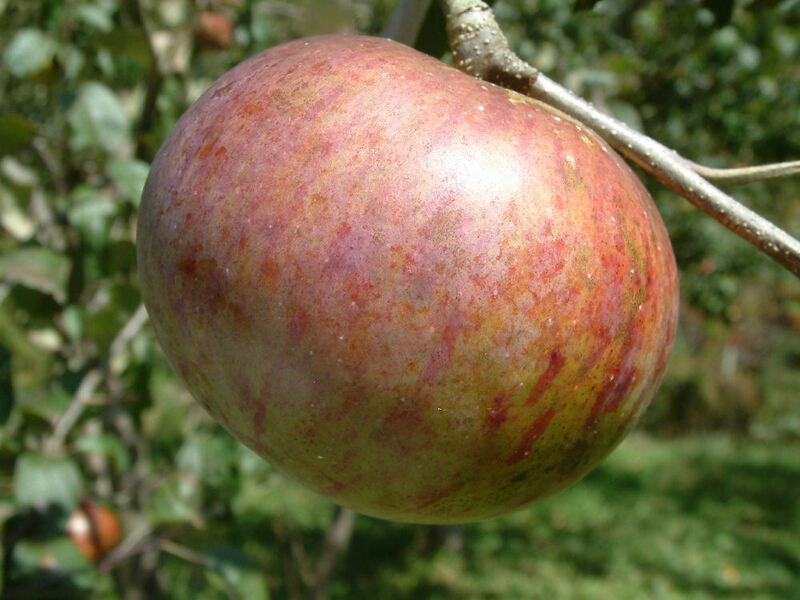 Medium to large fruit with greenish-yellow skin, mostly covered with dull red and all overlaid with a heavy bluish bloom. Flesh is white, crisp and juicy and very fragrant. Flavor has been described as “rose-water.” Ripens September and not a good keeper. 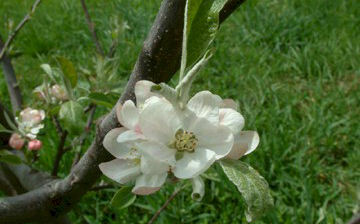 want to purchase carter blue and cortland apple trees. I live in north alabama. thank you. We would be happy to custom-graft a couple of Carter’s Blue and Cortland apple trees for delivery to you this fall. Send us an email (oldapple@bighorsecreekfarm.com) telling us how many trees of each you would like to order and we’ll be delighted to put you on our spring grafting list. Be sure to include your shipping address and telephone number when you write.